Click the button below for more detailed directions. Immediately pass the Base Camp, turn left into a city parking lot; this is paid parking. If free parking spaces are not available park in the city parking lot—when you check-in at our front desks ask for parking tokens. NOTE: Parking in the city lot is not “free.” However, two hour parking is “free” on the street. Laser Clinic patients, once parked walk up the green handicap access ramp to the walking mall. Turn right and the entrance is the first door on your right. 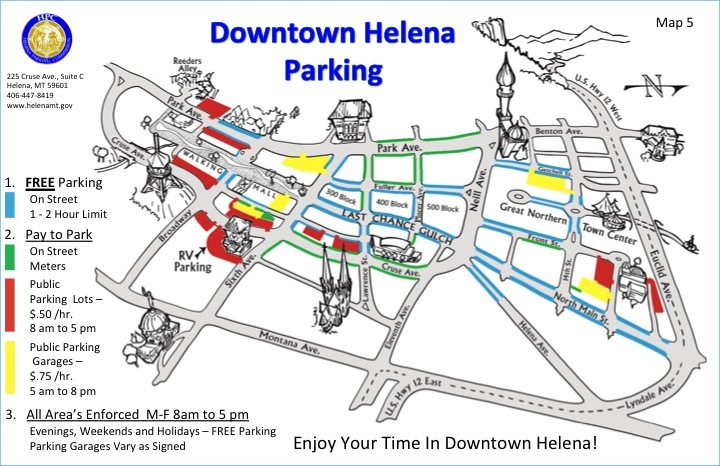 As you enter Helena from Townsend you will be on Prospect Ave—move to the center lane until you intersect Montana Ave. Turn right on Benton Ave—at Joslin’s Furniture Store.